Reserve your self-storage unit today! Our truck will deliver to your Southeastern MA or RI home or business. 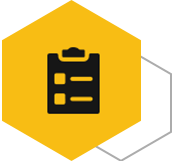 With over 1000 cubic feet of space, your Yellow Box self-storage unit will fit a large variety of items. 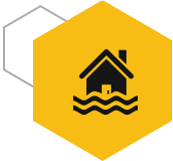 Have the Yellow Box self-storage unit at your location for easy access. 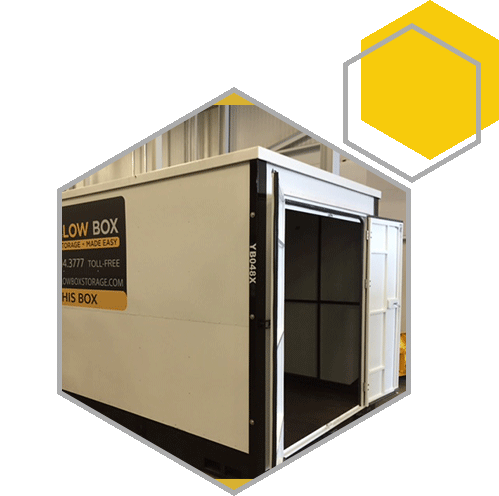 Unit storage available at Yellow Box headquarters, call us for details. Our delivery truck will transport to your local destination or pickup the empty Yellow Box self-storage unit. "Yellow Box was so convenient for us, they delivered the box right to our door, we packed it with all of our things, and they came back to pick it up, it was that easy." Whether you are moving or just need somewhere to put all your stuff, we are here for you. 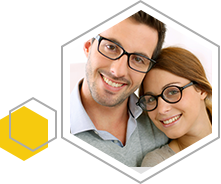 At Yellow Box, we offer the best in portable self-storage unit services. We take pride in providing a simple and effective service that makes your storage experience easier than ever before. Gone are the days of driving all the way across town to get to your things. 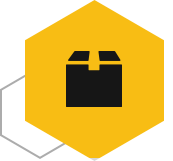 With Yellow Box, you will have access to your stored items whenever you need them. If you are looking to transport your items, we can do that too! Our talented team will gladly take your storage unit to any destination of your choosing. Call us today! Whether you are moving, downsizing, or in need of seasonal storage, our personal self-storage units offer a convenient solution for your personal storage needs. If your business is lacking space for files, tools, equipment, inventory or more, our secure storage units offer the ultimate solution for commercial storage for any industry. With more than a decade of experience in the storage industry, we are not only skilled at what we do, we’re also dedicated to helping people just like you safely and easily store their belongings in our protective portable storage units. We also offer a low-price guarantee so that no matter what, you will always get the lowest storage rates in Massachusetts. Our tremendous customer service, unprecedented quick drop-off times, and our commitment to working hard will keep you trusting Yellow Box every time you need moving and storage services. Call us today at 508.695.4145 to order portable storage containers. Please feel free to reach out to our friendly customer service team with any questions you may have about our moving and storage services. We would love to hear from you!